How do you capture the essence of a woman who has been painted by M.F. Husain, honoured by President Kalam with the Padma Shri, been a confidante to India's most charismatic woman Prime Minister, been presented the International Star Award in Paris, walked the red carpet at Cannes, rubbed shoulders with world celebrities including Princess Diana, interviewed by Goldie Hawn, launched by Barbara Cartland at the Galleries Lafayette in Paris and Harrods in London, spoke at House of Lords and House of Commons at the British Parliament, honoured by Princess Grace of Monaco, celebrated by Deepak Chopra, awarded World Medal of Freedom at Annual World Forum, Washington DC, lectured at MIT, Harvard, Oxford and London School of Economics, recognized by President Obama, honoured by Hillary Clinton, offered the role of Empress Nur Jehan by a Hollywood film director and "Woman of Substance" a film on her amazing life, by Beverly Hills Film Production, selected as the United Nations Woman of the Decade, awarded the World's Greatest Woman Entrepreneur by the U.S. based Success Magazine as the first woman in 109 years, selected Forbes Woman of the Year and also represented India at Forbes World Congress in Australia, received Woman of the Year Award from the Governor of California, USA and made not just an entire nation, but people across the globe wake up to India's Vedic system of medicine? 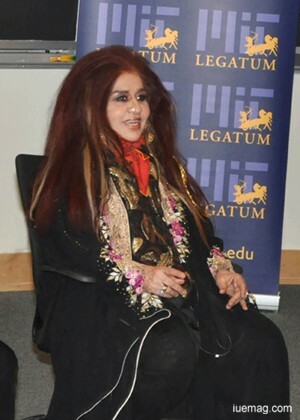 Shahnaz Husain - a legend in her own lifetime! This is the story of the spirit of true entrepreneurship. It provides a rare insight into the individual qualities that make a person stand apart from the rest. It is the story of a woman, a first generation entrepreneur, a pioneer, a visionary and an innovator, who introduced a totally new concept of Ayurvedic Care and Cure worldwide, with universal appeal and application. Born into a conservative family, Shahnaz had to comply with existing traditions and was married at the tender age of 15, becoming a mother by the time she was 16. She trained for ten years in cosmetic therapy and cosmetology at leading institutions of the West, like Helena Rubinstein, Swarzkopf, Christine Valmy, Lancome and Lean of Copenhagen. Adopting the principle of "Care and Cure" she set up her own herbal clinic in her own home with very little capital investment formulating products for skin, hair and body care based on the Ayurvedic system. Just when there was a worldwide "back to nature" trend, she recaptured an ancient herbal system and made it relevant to modern demands. And this was almost four decades ago. Since then her career has been on a constant search for a better alternative. Today, her name has become a brand and she is herself the brand ambassador. Her journey from one herbal clinic to a worldwide chain is one of the unprecedented success stories. Her success in the international arena in the face of great odds is itself phenomenal. Financial constraints and closed doors did not deter her. When she entered the international market she fought a lone battle competing with the biggest brand names in a market where billions of dollars are spent on advertising and packaging. Armed only with complete faith in her own abilities and an invincible belief in Ayurveda, she allowed her products to speak for themselves. "I sold a 5000-year old civilization in a jar," says Shahnaz. She extended her base in the U.K., by launching the sale of her products at Lloyds Pharmacy, at Selfridges, the prestigious London store. Within two weeks of the opening at Selfridges, the Shahnaz products posted record breaking sales touching ₤1000 per day. Recently, Shahnaz Husain products touched record breaking sales at Selfridges where a single customer bought products worth ₤4,334 in a single transaction. More than 35 years ago, when apprenticeship training alone was available Shahnaz started her beauty institute to provide comprehensive training in beauty. Shahnaz has also been committed towards empowering the less privileged section of the society through her free beauty training courses for speech and hearing impaired and visually challenged students. She has also written a beauty book which has been put in Braille. According to Shahnaz Husain, "Empowering lives has been the motivation for our endeavors." Recently, advanced therapeutic products called Chemoline have been introduced to alleviate the side effects of chemotherapy and radiation on the skin and hair by her. Having distinguished herself as a pioneer and business leader, Shahnaz was selected to attend the prestigious Presidential Summits, twice in one year, from among a field of many highly qualified aspirants. For Shahnaz, attending U.S. President Obama's Summit of Entrepreneurs, first in Washington DC in April 2010 and then in Mumbai in November 2010, was recognition of her relentless efforts to promote Ayurveda worldwide. "It is a dream come true to see the worldwide recognition of Ayurveda. I strongly believe that Ayurvedic care can lead the international beauty industry within the next decade. It has been tested by the most exacting test of all...the Test of Time!" To others, work is their career, but to Shahnaz Husain selling India's herbal heritage is the sole purpose of her existence. Today, Shahnaz Husain is a legend in her own lifetime, while her organization is a magnificent expression of her dreams, hopes and aspirations, which has inspired thousands of women to follow their dreams with faith and courage. Her career is a portrayal of how she has translated her ideas into reality, living life by her values and unique philosophy.